Three-quarters of refugees who entered Germany in 2015 are males, two thirds younger than 33 years old, with low working experience, a new study by the German national immigration service says. 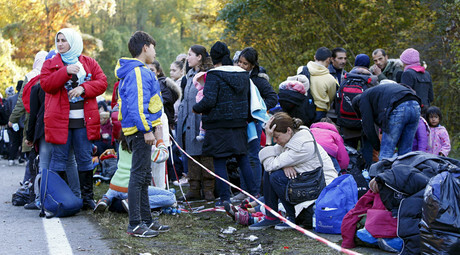 Germany’s Federal Service for Migration and Refugees (BAMF) has released a new study on nearly 1.1 million refugees who entered the country last year, offering a closer look at migrants from a social perspective. Based on survey data collected from asylum applicants, it gives the first closer look at migrants’ social status, education, age and occupations. 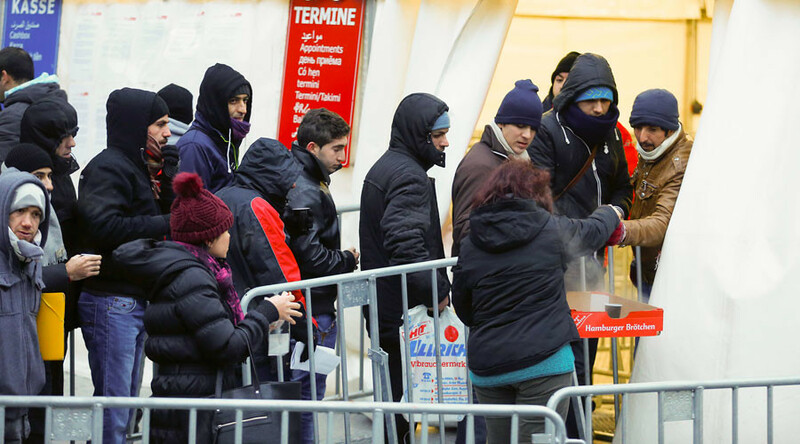 The study, called “Asylum applicants: Social structure, qualifications and employability,” says that most of refugees who came to Germany in 2015 are young men. Most males, seen by country, come from Pakistan, followed by Afghans, Syrians, Eritreans and Iraqis. Under-22s make up the biggest proportion among the Eritreans (over 46 percent), the Afghans (40 percent) and Iraqis (27 percent). In total, nearly two-thirds of all refugees are 33 and under, with only a tiny proportion of people older than 52, the study says. Young people predominantly come from Afghanistan, Eritrea, Pakistan, Iraq and Syria. The study also covered the migrants’ literacy and education. According to the research, 18 percent of asylum applicants hold a university degree, 20 percent have attended a high school, approximately one-third a secondary school and 22 percent a primary school. Seven percent of migrants have no formal education at all. While Afghans, Eritreans, Pakistanis and people from the Western Balkans have lower educational attainment, Syrians and Iranians are often better educated. 27 percent of Syrians and 35 percent of Iranians have graduated from a university. The research is also the first comprehensive attempt to understand how to tackle the remarkable number of refugees already in Germany, given their skill set and qualifications. Many in Germany do not believe migrants could successfully contribute to the society as qualified workers. Last October, the Federal Employment Agency said that that 81 percent of asylum seekers were “without formal qualifications,” claiming that due to the heavy refugee influx there will be at least 400,000 additional welfare recipients in 2016. Most male and female refugees were either “self-employed” or did manual labor before coming to Germany, the BAMF study revealed. Considerable portion of migrants worked in agriculture and service sector, while only a few of them had experience in trade, commerce or education. Over the past months, Germany has seen a new wave of Islamophobic and anti-migrant violence, as the refugee crisis is polarizing supporters and opponents of Chancellor Angela Merkel’s policy of welcoming refugees. Troubled by rising popular anger at the government, Germany has introduced a new set of measures called “Asylum Package II.” It puts limits on the number of admitted asylum seekers and also includes an attempt to integrate those who have already reached Germany. Refugees will have to take integration courses, costing €10 a month, and to learn German. Otherwise they will be forced to leave the country and/or have their asylum revoked.